Today marks the grumpy, long overdue retreat of winter. I walked the trail through my woods today bundled up as usual in a woolen coat and scarf. To my surprise, it was 60 degrees out and I was over-dressed for the occasion. It was like walking through a slightly steamy jungle and I was thrilled beyond measure. The first insect of 2014, a lone honey bee, fumbled around as if stymied by the lack of flowers. The beginnings of green dandelion leaves under a thin layer of ice in the woods captivated me. Super-saturated turf-turned-quicksand was everywhere and my boots were soon mucked up beyond my caring. The air smelled clean and spring hopeful. Today obviously was the turning point in seasonal shifts. Winter might try to exert its might a few more times, but I know spring will explode with great pent-up energy very soon. On a sad note, I’ve lost another dozen pines this winter. They crisscross my trail in tragic, broken pieces. It’s obvious that they will never reclaim their strength in numbers due to the 2009 ice storm, so I resolved, as all humans attempt to do, to fix what I perceive as broken despite my understanding of the natural process. To be fair, its partially an experiment in anticipation of global warming but I have to see if a total shift in forestry culture will work here in West KY. 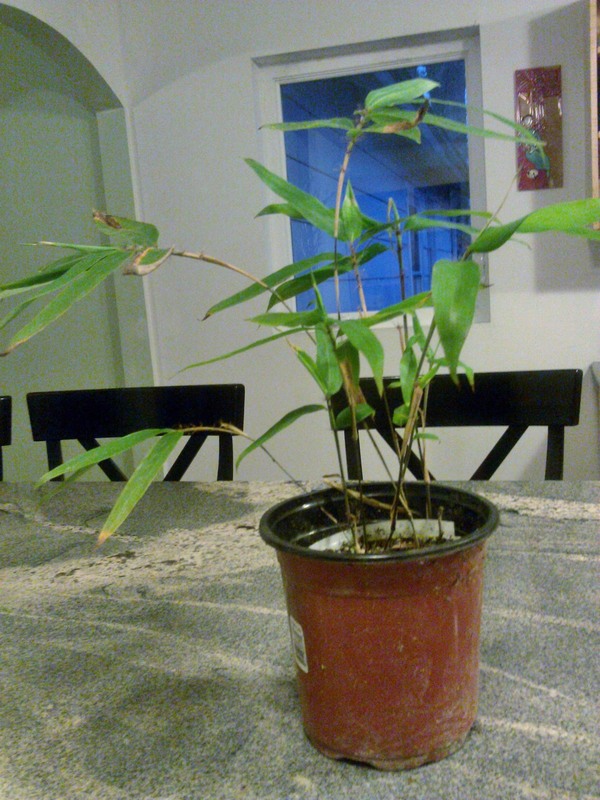 I planted one hundred Moso bamboo seeds last spring. Fifty sprouted. Ten made it to the 12 inch tall stage and look incredibly hardy. I am starting a new kind of forest this spring.